Film Plot: Twelve episodic tales in the life of a Parisian woman and her slow descent into prostitution. Grade: C8-C9	Very Fine to Near Mint. Folded, single-sided. 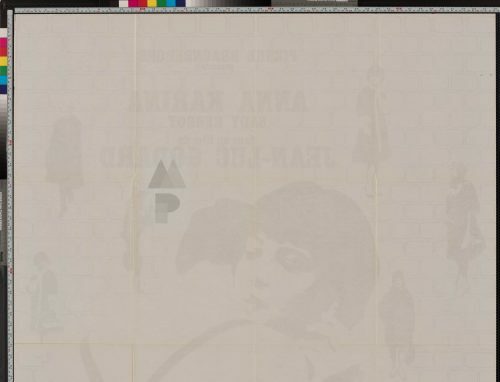 Unused poster with very minimal fold/handling/edge wear, no cross fold separation, no tears, only slight tanning to the paper from age. 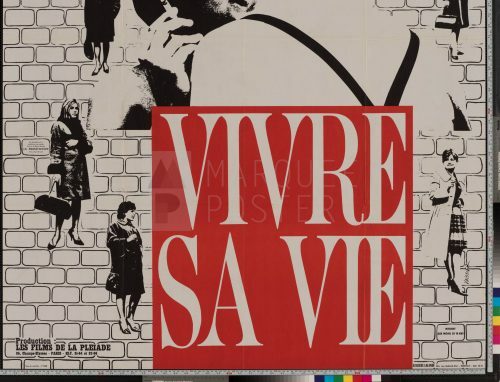 Vivre sa vie was Godard’s 2nd film following his breakthrough hit, A Bout de Souffle (Breathless) and also his second pairing with the always lovely Anna Karina. 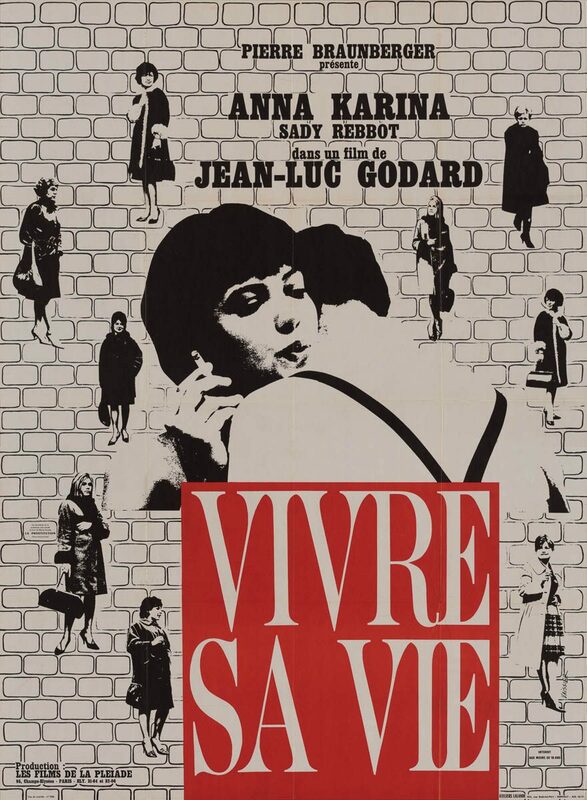 Godard has never shied away from the grittier side of life, and Vivre sa vie is no exception — we follow Nana (Karina), a young aspiring actress who instead ends up in a downward spiral, turning tricks on the streets of Paris. Vivre sa vie is a landmark of the French New Wave that still impresses today. There were two original French printings for this film. Both designs are identical with primarily black text and a large red title block, but the first printing has an orange cast over the actors and within the brick background. 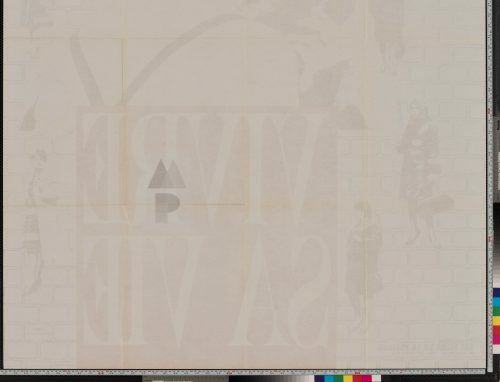 The second printing, believed to be commissioned after the film stayed in distribution longer than expected, dropped the orange cast and is perhaps a more bold design being primarily black and white. 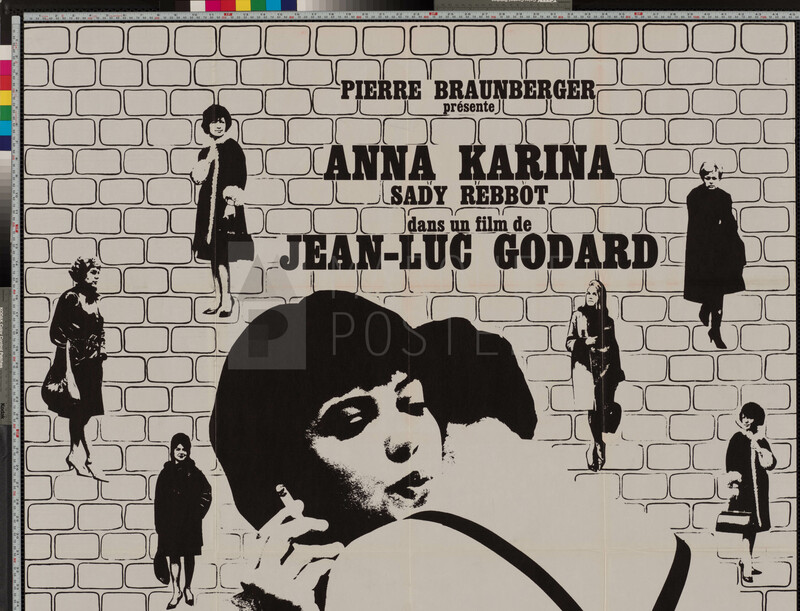 This rare poster is a must for fans of Godard and Karina, his long-time muse.